Andrew Tod’s extensive experience in senior management and consulting roles in corporate strategy, marketing and business development in the resources, energy and infrastructure sectors has provided a powerful platform for his executive coaching and consulting practice. 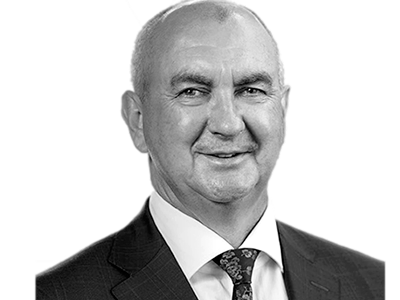 He has worked as a senior executive in Australia and internationally with large and small corporates, resource houses and international market leaders, identifying and securing development opportunities to drive business growth. This includes successfully launching a new product into the international market, acquisitions and equity investments. Andrew is acutely aware of the critical nature of effective leadership, communication and teamwork in the context of driving business growth and capitalising on opportunity. He shares his experience and lessons on leadership development from his time leading oil and gas exploration teams in outback Australia, Central and South America. Drawing from his experience as General Manager Strategy with Leighton Contractors, General Manager Pre-Contracts with Thiess, and Business Development Director with Mirant Asia Pacific. Andrew is a creative and strategic executive coach who works with a range of clients in different industries to solve complexity and key challenges thrugh focusing on the bigger picture and establishing priorities. Andrew has a Bachelor of Science from the Aust. National University and an MBA from the University of Queensland.